The Hidden World – the last film in the hugely successful DreamWorks Animation franchise. 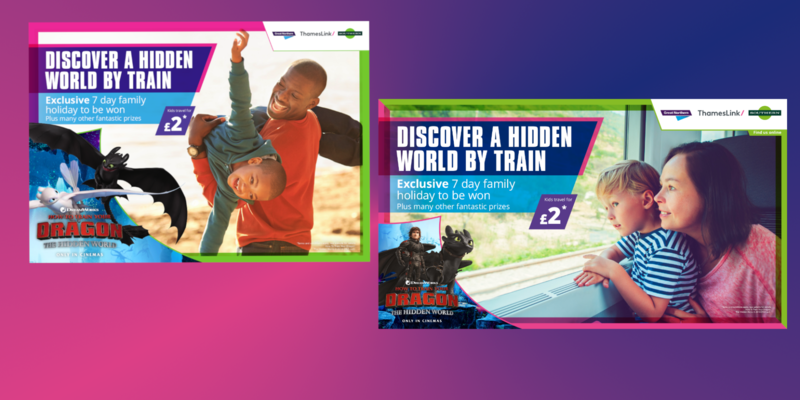 Drawing on the film’s theme of discovering new worlds, Brand Culture approached the UK’s largest rail company, Govia Thameslink Railway, with a partnership idea to help encourage commuters and day-outers to ‘Discover a Hidden World by train’. press and radio advertising alongside paid social media. The chance to win a family holiday to Denmark was offered to engage travellers. significant rise in engagement compared with previous activity, illustrating how well the partnership performed for the brand.